Cartonlux is a small manufacturer of corrugated cardboard, cardboard boxes and packaging. 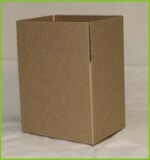 We also convert solid fibre cardboard into Spare Parts Boxes. Cartonlux litho laminates or mounts your printed sheets to corrugated or solid fibre board. At Cartonlux we custom manufacture small runs and large runs of Corrugated Boxes and Solid Fibre Spare Parts Boxes at cost effective prices. 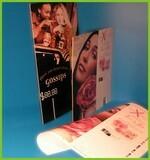 For the print trade we litho laminate or mount your printed sheets to board and can formecut or trim them to size after. We also do trade gluing, eg presentation folders, straight line, hot melt, latex, pressure sensitive and cold glue. No job to small.